ASSESS Talent Management has developed multiple personality assessment solutions to address all organizational development, recruitment needs and help increase employee engagement and job satisfaction. Most of the common personality type assessments can be tailored for your specific needs. 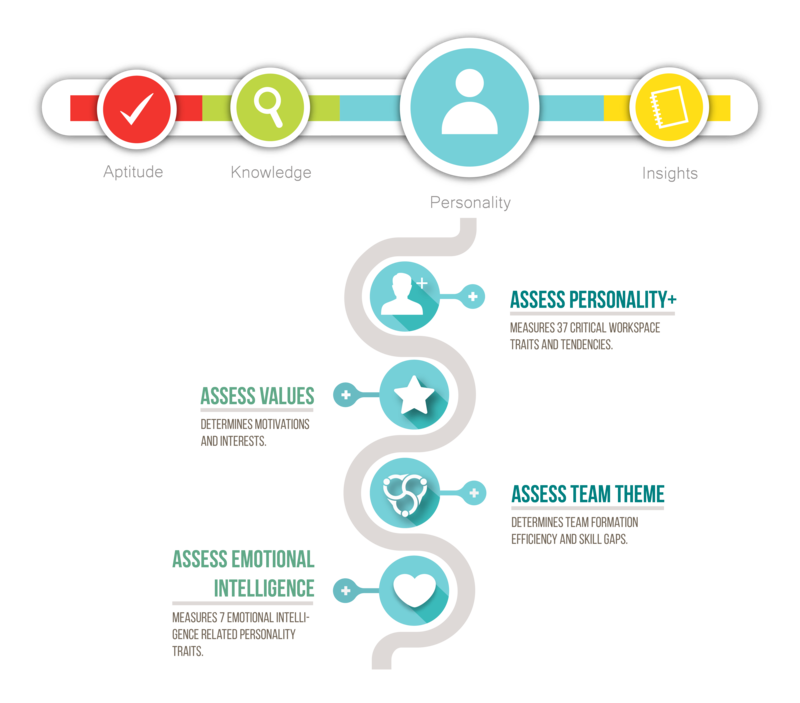 Most of popular personality assessments can be tailored for the needs of your organization. Our assessments range from popular personality models such as the Big Five and strengths-based competency assessments to our proprietary PersonalityPlus 3X model, which is the foundation for ASSESS Occupational Competency Model.